Here he admits to using a hack and that he'll turn it off. You can tell he's cheating because you can't have M4A1 with juggernaut, only M60 and usp or Riot Shield and USP. You also cannot pick up weapons with juggernaut. 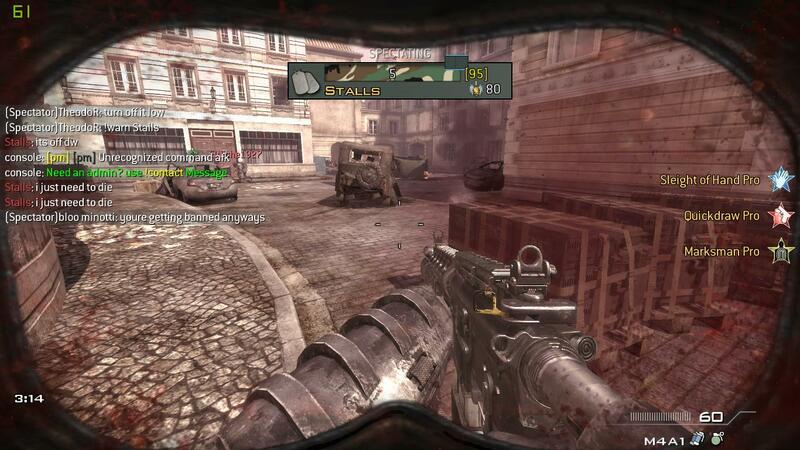 In an earlier game he called in multiple care packages and UAVs right as the game started.